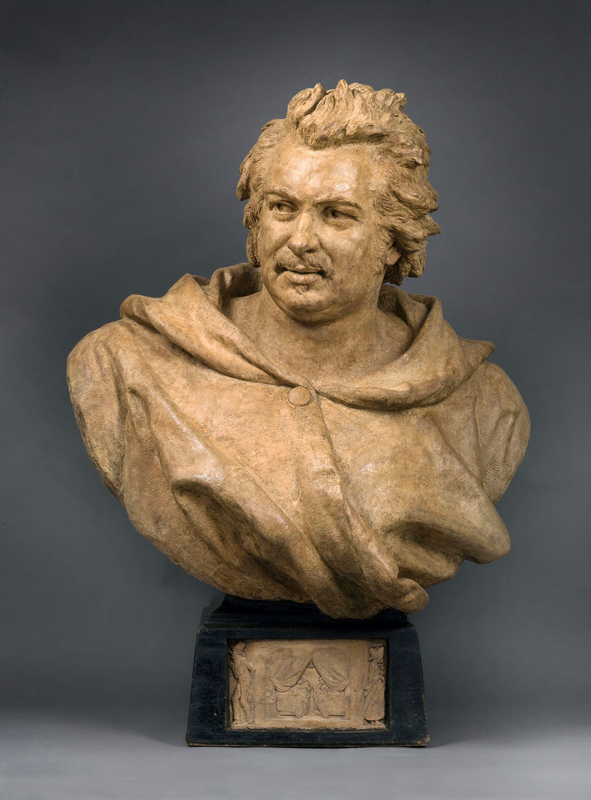 Many years after Balzac’s death, this imposing portrait of him was commissioned by his publisher. Hébert based the likeness of the famous writer partly on conversations with Balzac’s widow and partly, legend has it, on a Parisian cook who was said to resemble him. The relief on the base refers to a chapter in Balzac’s treatise The Physiology of Marriage (1829), which discusses the benefits of married couples sleeping in separate beds. This monumental bust represents the great novelist and playwright Honoré de Balzac (1799–1850). 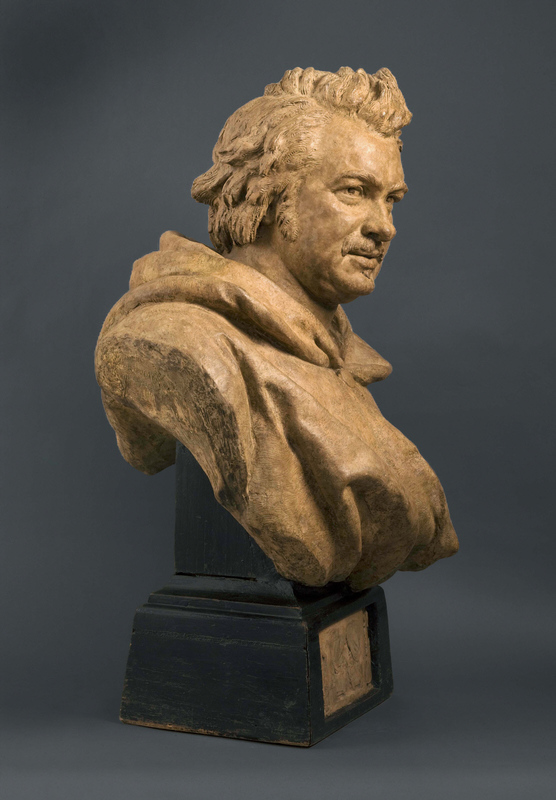 A colorful character, Balzac led a dramatic life, and his personality and writings on contemporary society inspired artists and fellow writers alike. 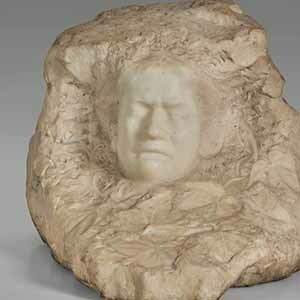 The best known portrait of the writer is Auguste Rodin’s Monument to Balzac, a controversial statue commissioned in 1891, said to have been modeled on this sculpture. 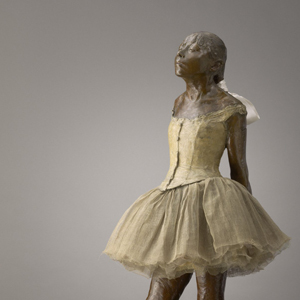 Hébert’s imposing likeness—it is larger than life-sized—was commissioned by Balzac’s principal publisher, Alexandre Houssiaux, many years after the writer’s death. 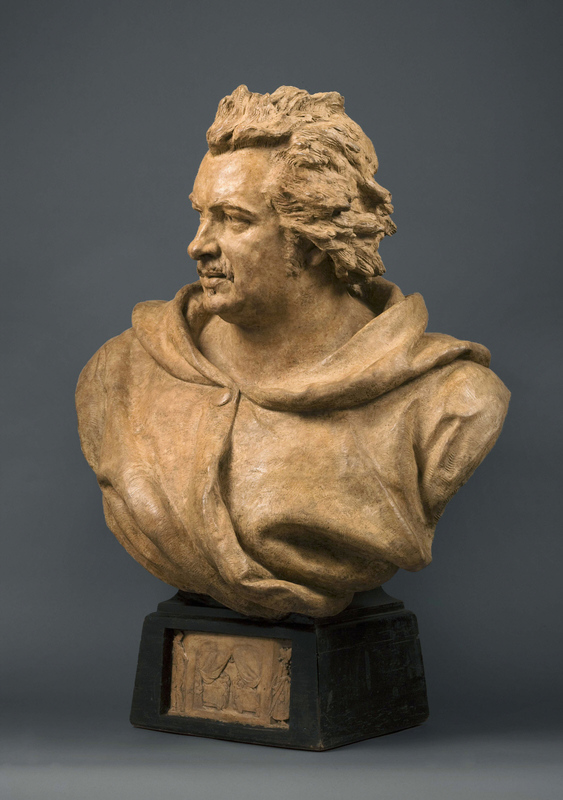 After lending the bust to the Salon of 1877, Houssiaux displayed it in his bookshop; subscribers to his Complete Works of Balzac were given a reduced plaster version of the bust. 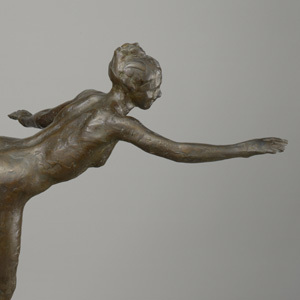 Hébert drew inspiration for this lifelike representation through conversations with Balzac’s widow. According to one report, he modeled the head on that of a Parisian cook who was said to bear a resemblance to the writer. 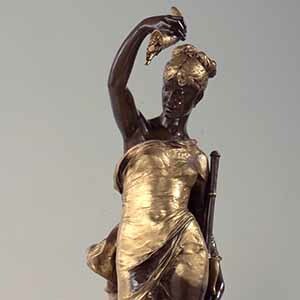 The scene represented in low relief on the sculpture’s base relates to a chapter of Balzac’s treatise The Physiology of Marriage: Petty Troubles of Married Life. Published in 1829, the book examines the economics and power relationships of seduction and love. The image portrayed in the relief refers to a long discussion of the benefits and costs of sleeping in separate beds. Emile Hébert studied with his father, the sculptor Pierre Hébert (1804–1869), before entering the workshop of the sculptor Jean-Jacques Feuchère (1807–1852). He exhibited at the Salon from 1846, at a surprisingly young age, and contributed to almost every Salon until his death. The majority of his works were portrait busts, many of contemporary sitters.